Perfecting the Pie — urban. apron. PRACTICE: It is what makes a recipe great. The first time you do something, it may not be the best. But you do it again, make some changes here and there, and perfect it. That’s what happens when you bake. You experiment until you have the best turnout. I am trying a home-made pie crust again. But this time I am doing a new recipe for the pie dough. THE CRUST: It’s not your store-bought crust. There is something special about a home-made pie crust. Since the filling is just so easy, I think the effort goes into the crust. So I am experimenting with another pie crust. It is from Martha Stewart and it is a great recipe. It makes two large discs so it’s plenty for a two-crust pie. I am still sticking with my lattice-style top crust. I like the weave look because it looks like the real-deal… a great pie. THE FRUIT: I don’t really have a favorite pie but I love blackberry cobbler so I figured a blackberry pie would be just as good! 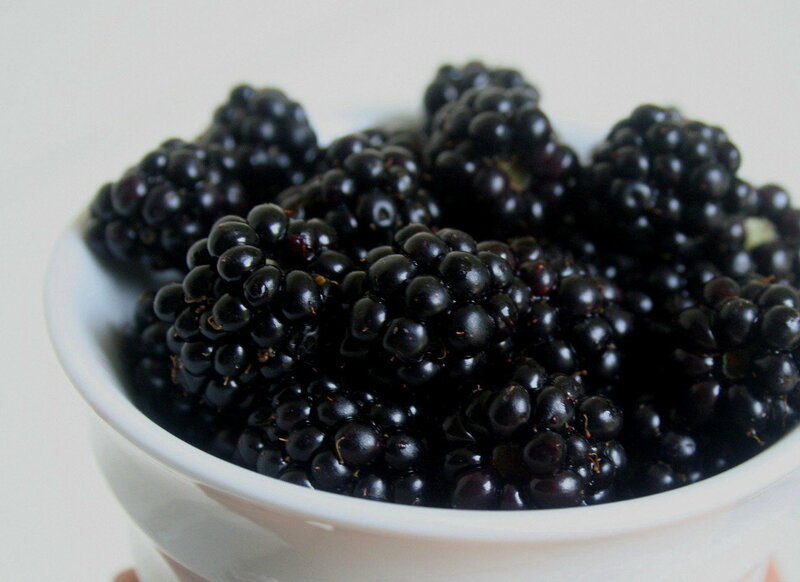 You just can’t really go wrong with blackberries. When making the pie dough, I did not have unsalted butter. If this happens just use the salted butter but cut the amount of salt the recipe calls for in half. -Pulse flour, salt and sugar in a food processer until combined. -Add butter and pulse until it is coarse crumbs. If you are mixing it by hand, use a pastry cutter or fork to break up the butter into the flour. -Drizzle in the ice water until the dough begins to hold together but it is not wet or sticky. Mold dough into 2 discs and wrap with plastic wrap. Refrigerate for 1 hour or overnight. -Combine all ingredients in a bowl and toss to coat all of the berries. -Fill pie shell and top with second pie crust. -Bake 375 degrees for about 1 hour and 20 minutes or until fruit is bubbly and crust is golden. Tent the top with foil if it browns too much. Since the pie was for the 4th of July, I cut out stars from the extra pie dough and I placed them on top for a patriotic look.